Consumers today have very high expectations. Sixty percent expect brands to deliver tailored customer experiences; seven out of 10 consumers say they prefer content and ads that are customized to their personal interests and shopping habits, and 43 percent report that their desire for personalization has grown in the last year alone. Succeeding in this environment depends on sourcing modern marketers with the right combination of talent and vision to build and execute an effective strategy powered by identity — i.e., connecting first-party data from across devices and channels to create a 360-degree view of the customer, supporting messaging that is individualized, contextually relevant and consistent throughout all consumer touchpoints. 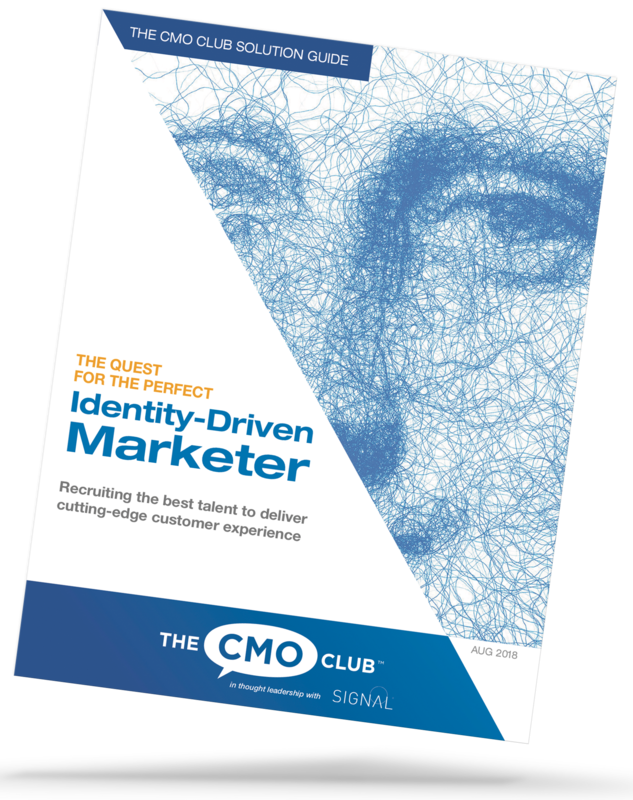 Signal partnered with The CMO Club to survey a select group of CMOs from top brands including Starbucks, Sky Betting, Barnes & Noble and more to quantify the quintessential identity-driven marketer. Why finding identity-driven marketers matters more now than ever before. How marketing innovators must extend beyond traditional creative thinking to leverage technology and data. Which fundamental skills and qualifications cutting-edge marketers must possess. The source of a brand’s competitive advantage, profitability or success is no longer product. Merchandise is universally available. Rather, the battle is being played — and won — on the marketing field. Read more in our joint press release, Data-Driven Marketers in High Demand and Short Supply, New Research Finds.